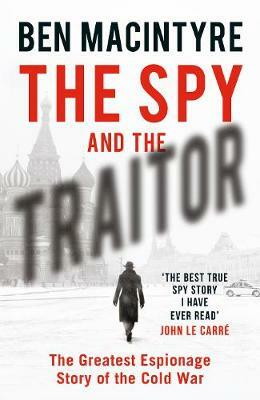 'THE BEST TRUE SPY STORY I HAVE EVER READ' JOHN LE CARRE A thrilling Cold War story about a KGB double agent, by one of Britain's greatest historians On a warm July evening in 1985, a middle-aged man stood on the pavement of a busy avenue in the heart of Moscow, holding a plastic carrier bag. In his grey suit and tie, he looked like any other Soviet citizen. The bag alone was mildly conspicuous, printed with the red logo of Safeway, the British supermarket. The man was a spy for MI6. A senior KGB officer, for more than a decade he had supplied his British spymasters with a stream of priceless secrets from deep within the Soviet intelligence machine. No spy had done more to damage the KGB. The Safeway bag was a signal: to activate his escape plan to be smuggled out of Soviet Russia. So began one of the boldest and most extraordinary episodes in the history of espionage. In The Spy and the Traitor Ben Macintyre reveals a tale of betrayal, duplicity and raw courage that changed the course of the Cold War forever.